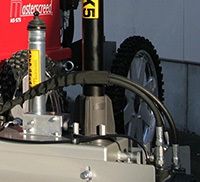 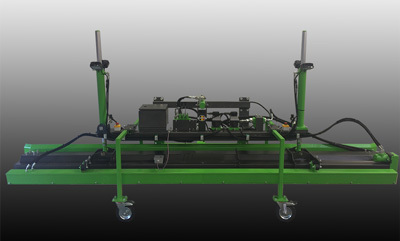 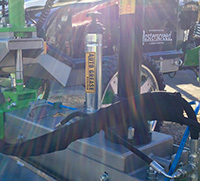 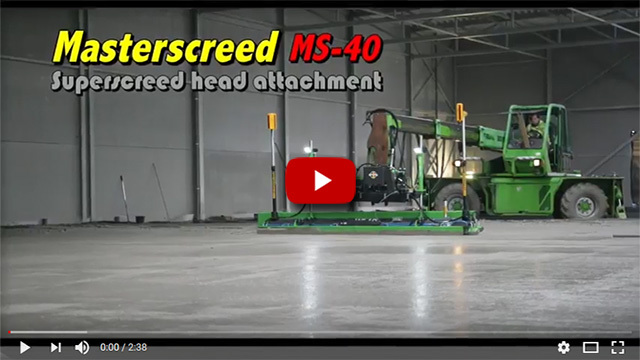 The MS-40 screed head attachment (patent pending) enables quick connection to most telescopic or boom lift machinery, which makes it a great addition to any concreting business as it is saves the outlay of large traditional screeds, maintenance and transport costs, and has the added benefit of being adaptable to rental machinery. 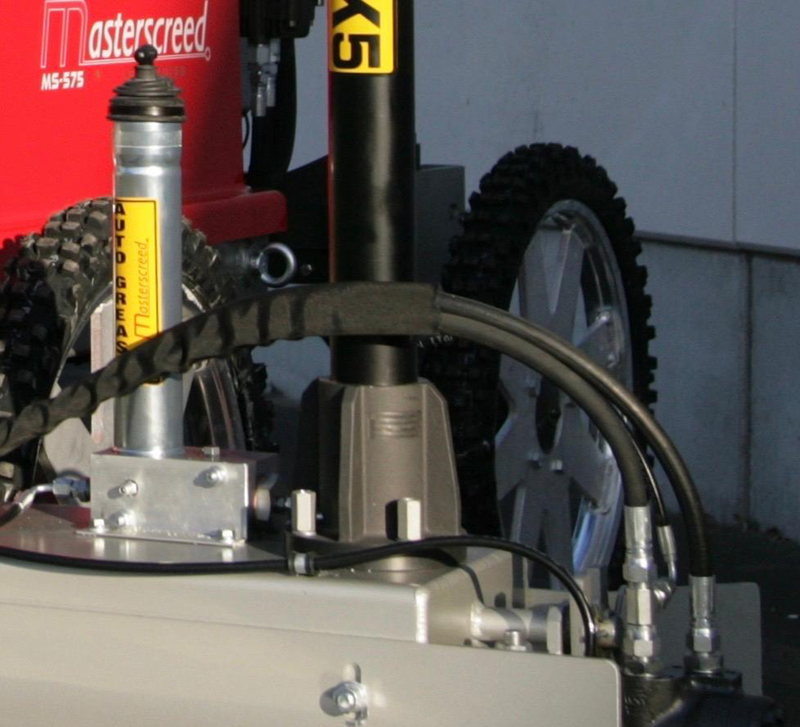 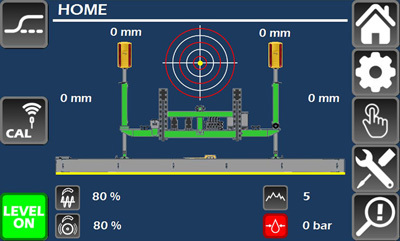 The MS40 attachment is completely automated, offering high production output with superior accuracy at 4.2m (14ft) wide, it features a plough, auger, roller and vibrating beam for ultimate compaction. 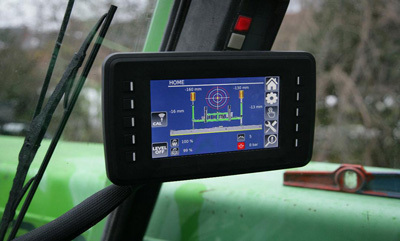 It is very easy to operate via a wireless 7” colour touchscreen display, with full visualisation allowing the operator to fine tune and make adjustments for easy operation.